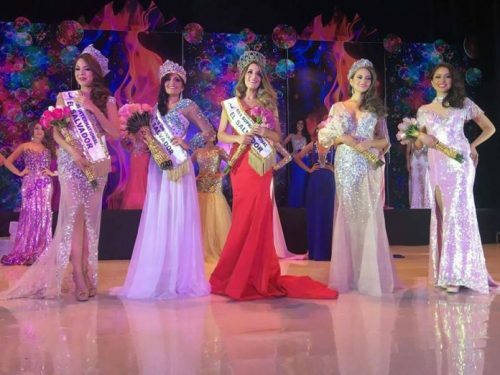 El Salvador has officially crowned their representatives for Miss Universe, Miss International, Miss Supranational and Reina Hispanoamericana 2017 pageants. Carlos Jimenez, President of Reinado de El Salvador, has just acquired the franchise licensee for Miss Universe pageant this year. Allison Abarca emerged as the big winner as she was crowned as Miss Universe El Salvador 2017 and will compete in 2017's Miss Universe beauty pageant. Metzi Solano will travel to Japan for Miss International pageant. She was crowned as Miss El Salvador International 2017. Katya Lobos bagged the Supranational title and will fly to Poland for the Miss Supranational 2017 finals. While the pageant's first runner-up will represent her country at Reina Hispanoamericana 2017 in Bolivia. El Salvador has not sent delegate for Miss Universe last edition in Manila because of funds problem faced by franchise holders. Unfortunately, not a single El Salvadorean beauty has ever won the Miss Universe crown.